We drove from Assisi to Cortona. 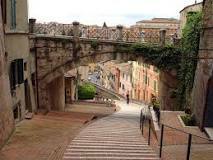 Cortona was made famous by Frances Mayes and her book and movie Under the Tuscan Sun. 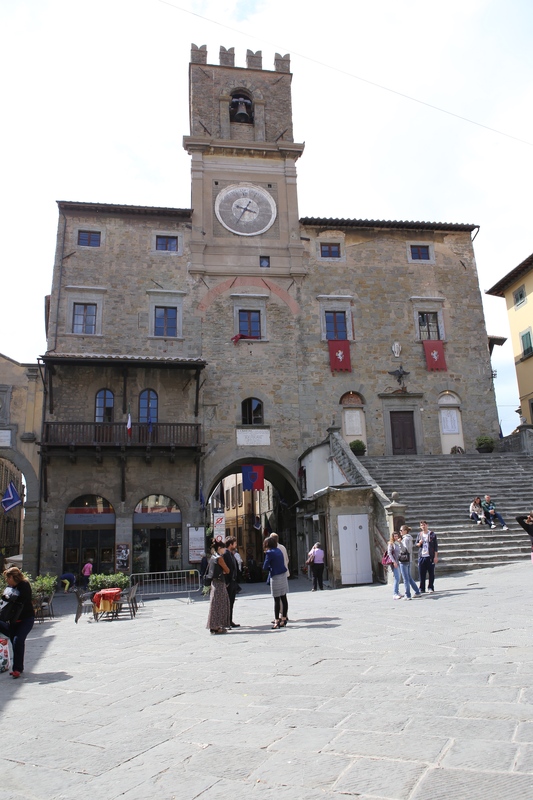 Cortona is in the Province of Arezzo, region of Tuscany.There are 23,000 people there. It is a mountain town like so many small towns in Italy. 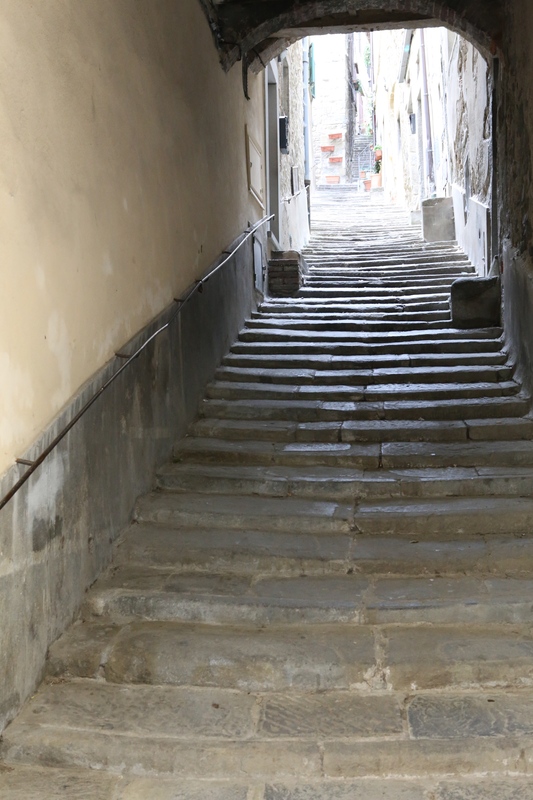 Another town of small streets and many stairs. The house that was in the movie Under the Tuscan Sun is there as well as the real house of Frances Mayes. 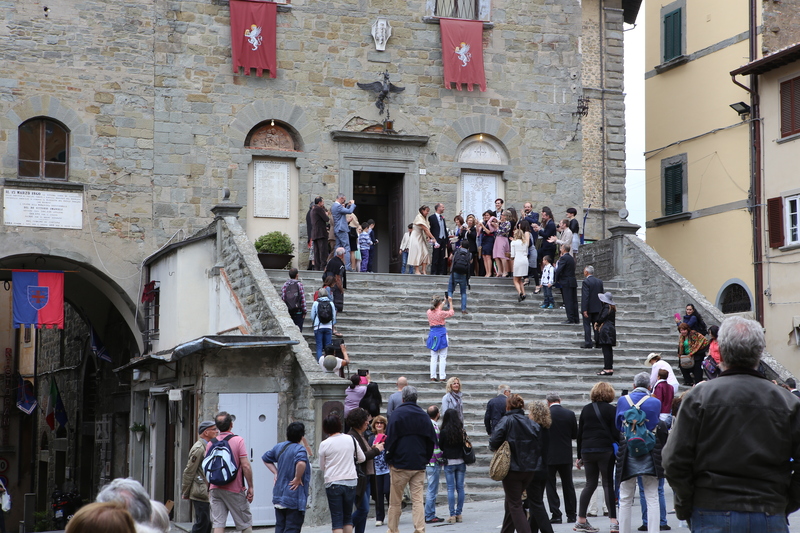 Cortona is fun and alive. 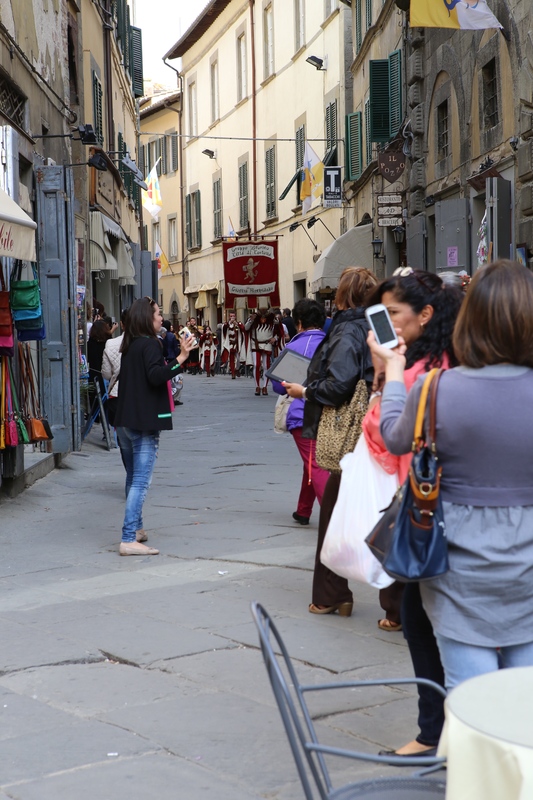 The small streets can get crowded as there are many tourists. Stop near the main piazza at a bar and have a drink or lunch and sit outside. 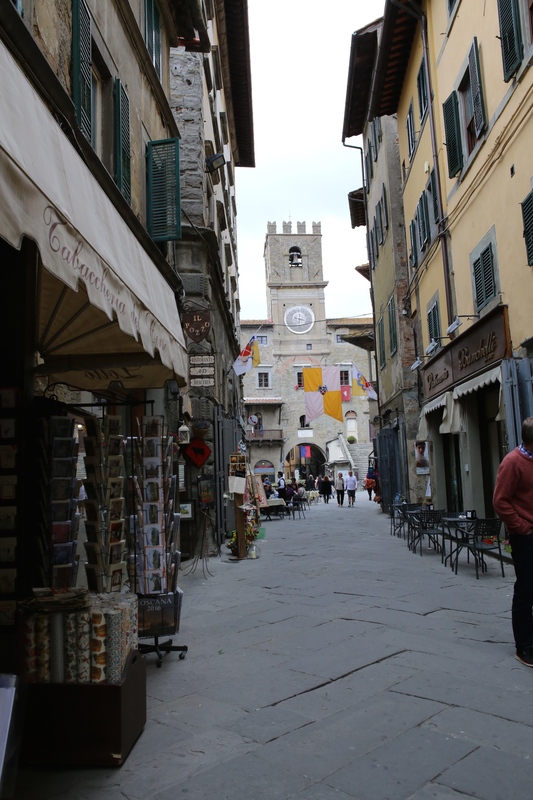 You will feel the life of Cortona as it passes by. 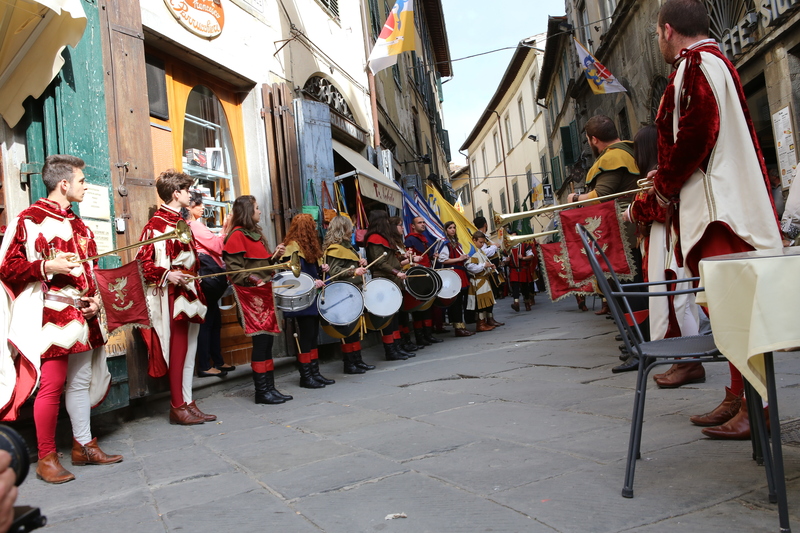 You may be as lucky as we were and see a medieval band march by. Come for the romance, the food, the wine and the people. This is Tuscan wine country. It is not only Chianti but Montepulciano and Brunello. 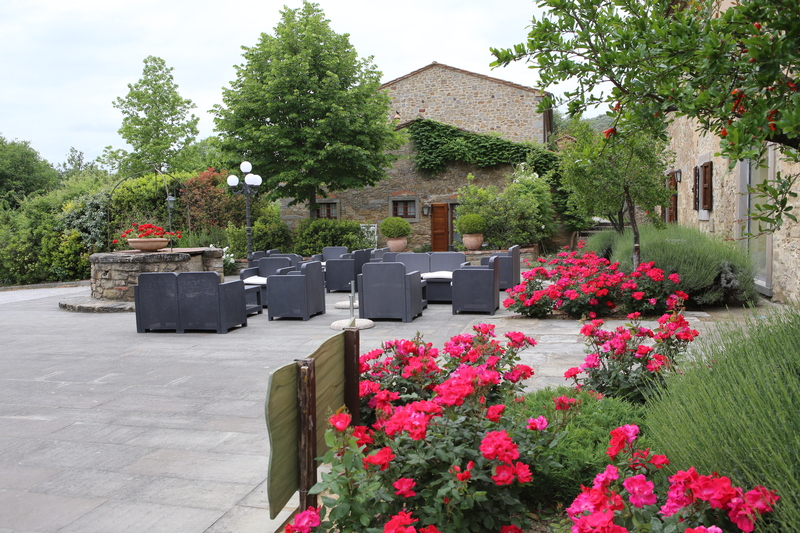 Stop at an enoteca (wine tasting) and try some Tuscan wines.